Oh Hi Thursday! So good to see you again! Here’s another edition of Things I Love Thursday. I can’t believe another week has gone by. Less than a week left on my internship and the real world is quickly approaching. 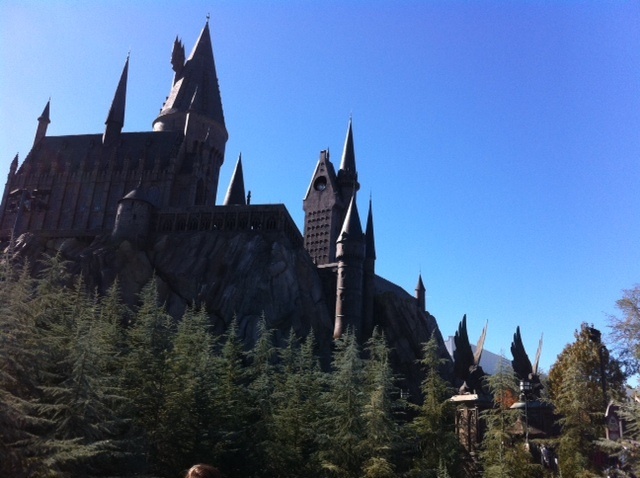 In honor of Harry Potter 7 Part 2 coming out at midnight tonight, I had to post a Hogwarts picture! I LOVE Harry Potter, and don’t worry I plan a whole post dedicated to the the series after I see the movie. If you’ve only seen the movies, PLEASE read the books, they look daunting but they are sooo sooo good! JK Rowling is such an amazing writer. I love taking artsy looking photographs. This was taken with my iphone 4, it’s surprising the quality of the photos it takes. 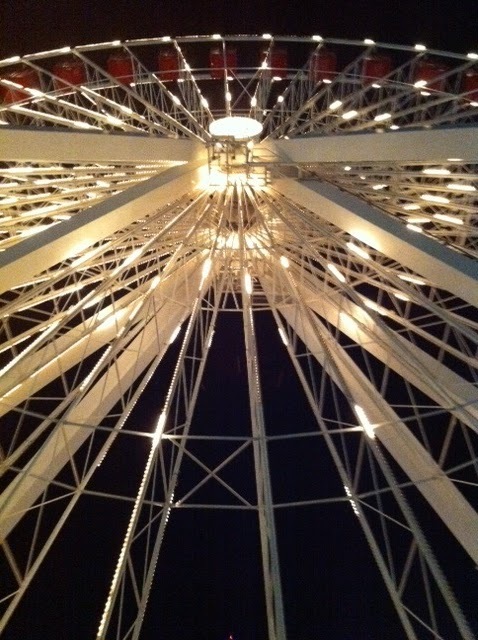 This is the Ferris Wheel at Navy Pier in Chicago. Not sure I’ve met someone who doesn’t love froyo. 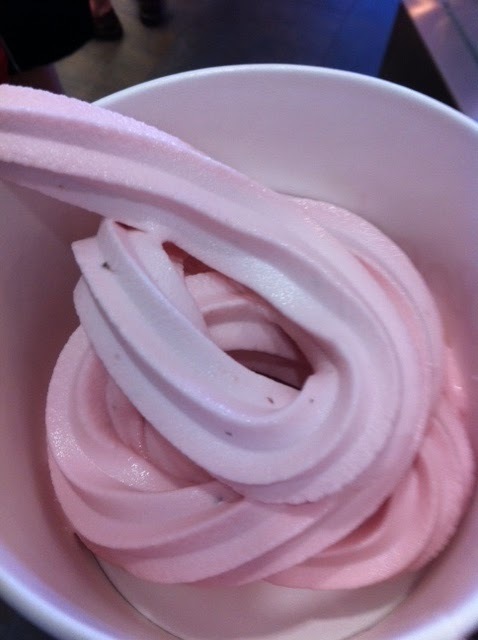 This is the before photo of my strawberry froyo. This is the after photo. 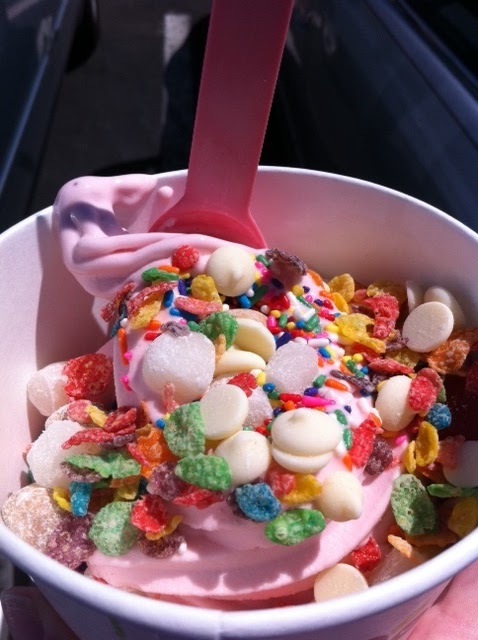 With cookie dough bits, mochi bits, fruity pebbles, sprinkles, and white chocolate chips. It was AMAZING, I may have replaced my lunch with this yesterday. As you can tell I’m not a huge chocolate fan, I like it but I don’t love it. That wraps up another Things I Love Thursdays.